Those who work in the legal profession — including judges, attorneys, paralegals, legal secretaries and clerks — and those who wish to pray for them are invited to a Red Mass at the Cathedral of the Assumption Sept. 8. 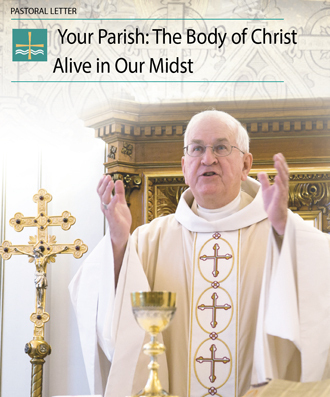 Archbishop Joseph E. Kurtz will preside at the 12:15 p.m. liturgy. The Red Mass has historical significance in the Catholic Church dating to the 13th century. It invokes God’s blessing and guidance on those who work in the legal profession. Organizers hope the local Red Mass will help bring people together, said District Court Judge David P. Bowles of the 30th Judicial District, Division 8. “We live in a very divisive world right now. Some courts have come under attack recently by political leaders,” he noted. “What I hope to see — what I expect to see — is a real nice environment for people in the legal profession to come together and to feel like they have the prayers of the community supporting them to make good decisions in their work,” he said. Bowles, a parishioner at St. John Paul II Church, said organizers tried to make the Mass accessible and inviting. “It’s being held at the Cathedral in downtown Louisville at lunch time when people can take a break and walk over and go to Mass,” he said. Bowles also noted that non-Catholics who work in the legal profession are welcome to attend. Clergy presiding at a Red Mass wear red vestments to symbolize the Holy Spirit and the gifts of wisdom, understanding and counsel for those who work in the law, Bowles said. The Red Mass began in Europe during the Middle Ages. The first such liturgy on historical record was celebrated in Paris in 1245 in honor of St. Ives, one of the patron saints of lawyers, said Bowles. St. Thomas More is the other patron of lawyers. Today, the most well-known Red Mass in the United States is celebrated at the Cathedral of St. Matthew the Apostle in Washington, D.C., just before the United States Supreme Court begins its term in October. Last year, five Supreme Court justices attended: Chief Justice of the United States John G. Roberts Jr. and Supreme Court Associate Justices Anthony M. Kennedy, Clarence Thomas, Stephen G. Breyer and Samuel A. Alito Jr.
During his homily at the Mass, Archbishop Bernard A. Hebda of St. Paul and Minneapolis said those involved in the administration of law should seek justice and mercy in their work, according to an Oct. 3, 2016, story by Catholic News Service. “Those two virtues must intersect in our lives and actions,” said the archbishop, who was the homilist at the 64th annual Red Mass at the Washington cathedral.